The Flash delves into the memories of Grace and Nora to serve the ongoing stories surrounding those characters. Walking around in people’s memories is a common science fiction story as it can deliver insight into how a character is really feeling or explore how their mind works on the context of the show. Adding early tension to this episode by having Nora worried that going into Grace’s memory with Barry will tip him off as to what she’s really up to works really well with a well executed opening scene reiterating Nora’s partnership with Eobard Thawne and the fact that she feels more apprehensive about lying to her parents the longer she does it. Her concern that she will be discovered forces her to behave recklessly and take the trip into Grace’s mind on her own. 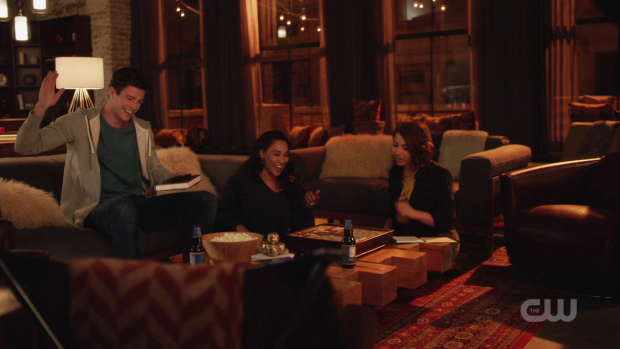 Naturally this doesn’t go to plan so Barry and Iris have to follow her in to help both Grace and Nora. This splits the A plot into two parts; the first being Nora learning about Grace combined with the second involving Barry and Iris learning about Nora. Both of these are interesting in their own way. Up until now Grace hasn’t really been a character as she largely exists as the baseline motivation for Cicada so you’d be forgiven for dehumanising her to some degree. The episode tries to play around with that idea by having her characterised as a typical scared little girl early on. Initially it looks as if she’ll be persistently afraid and Nora ends up leading her back to consciousness therefore creating something resembling a sisterly bond between them. What actually happens is far more interesting. The trip through Grace’s memories feature pretty much what is expected such as her helplessly waiting around in the hospital as her parents die or having an idyllic breakfast with her Uncle long after he has accepted her but there’s a sinister undertone to the whole thing that starts to appear when it turns out that her most recent memory is Cicada standing over her bed talking about killing Metahumans. She reveals that she has been listening this whole time and endorses Cicada’s view on them. This makes some degree of sense as she believes that her coma was caused by Metahumans so it’s reasonable that she would feel resentment towards them plus as a child she may be influenced by her uncle in a big way. The specific recent memory that is showcased is Cicada talking about the daughter of the Flash as a target. Grace is smart enough to conclude that Nora is who he was talking about which results in a complete breakdown in trust. This adds further complication to her mind treating Nora as a virus to be expelled through a manifestation of Cicada. Interestingly it’s made clear that her mind conjures Cicada as a woman which suggests that she could end up picking up where her Uncle left off judging by Nora’s memories discussing Cicada resurfacing after everyone believes that he has been defeated. Nora’s chief motivation for going into Grace’s memory her self is that she’s worried the truth will become known to her parents. The beginning of the episode establishes how hard she’s working to ensure that her deception is undiscovered and almost seems ready to abandon it in favour of telling the truth. Her experiences in Grace’s memory end up reaffirming her commitment to her mission because Grace acts as an example of someone who would do anything to protect her family which encourages Nora to realise that she would do the same. The reason for her deception is that Team Flash would most likely not accept her working with Eobard Thawne no matter how well intentioned it may be. There’s still some mystery surrounding why Cicada in particular needs to be stopped rather than some other villain but hopefully subsequent episodes will continue to flesh out Nora’s motivations. I generally feel that the Orlin Dwyer version of Cicada has all but run his course but I’m more interested in the antagonistic relationship built between Nora and Grace in this episode. It could be that by trying to stop Cicada Nora ends up creating her own version of the villain that has a personal vendetta against her. Grace certainly seems capable of growing into a serial killer particularly if she ends up blaming Team Flash -and more specifically Nora- for his eventual defeat. Naturally it’s a problem that could be years off for Nora relatively speaking but such plotting can be accelerated on a show like this. It’s becoming more difficult to invest in Cicada as an ongoing threat as the current run of episodes feel like killing time before Eobard Thawne can make his triumphant return as the best villain this show has. Not only that but it’s also Tom Cavanagh’s Eobard Thawne which is the definitive take on that character as far as I’m concerned. It’s not that what happens to be going on is bad but it’s clear that Cicada has very little more to give. 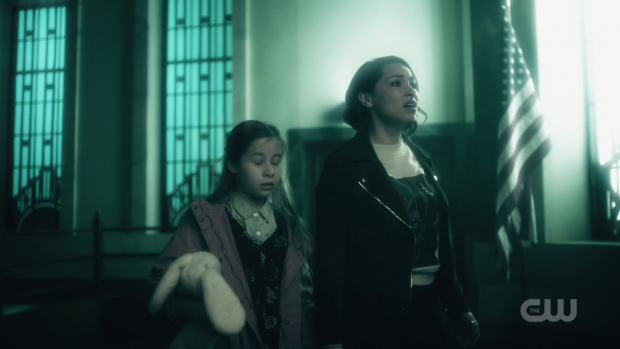 Nora’s memories give us the first proper look at The Flash Museum and it contains some fun easter eggs such as classic comic covers, amusing merchandise and even a charming ringtone version of this show’s theme tune. On a broader level it shows how much of an impact Barry had on Central City prior to his disappearance. It’s clear from the brief clips of Captain Singh talking about him that the loss is felt throughout the city which certainly makes it more difficult for Iris to deal with as there’s a very large monument to her husband constantly reminding her of what she lost. The use of the Reverse Flash costume without an occupant as Nora’s mental defence is appropriately creepy while also tying into the secret that she’s hiding from her parents. Neither Barry or Iris pick up on the clue but Sherloque does and uses it to add to what he has figured out already. Her reaction to mentioning her secret before deflecting it as if he meant something else is a clear indicator that Sherloque gained exactly what he needed from bringing it up in that way. He may not be the most engaging of characters all the time but his investigation of Nora is constantly tense. This episode somewhat misses a trick on showing how much Nora idolises The Flash. Yes she runs off to the museum so that she can bask in the immortalised glory but other than a mention of loving The Flash there is very little exploration of what that means for her and how that informed the person she is. The insight into how Iris treated her is really effective though. Candice Patton plays the older Iris as stern, uncompromising and clearly in a great deal of emotional distress. It’s obvious that she’s taking out her frustrations on Nora out of a desire to protect her which ends up stifling her upbringing. Letting Iris see what she could become is instrumental to letting her take steps to change it as it’s clear that simply knowing about wasn’t enough to change it based on the episode taking steps to point out that these are Nora’s memories from the current timeline where she did interfere. This is yet another example of inconsistencies in the rules of time travel but it’s almost forgivable because it works on an emotional level. 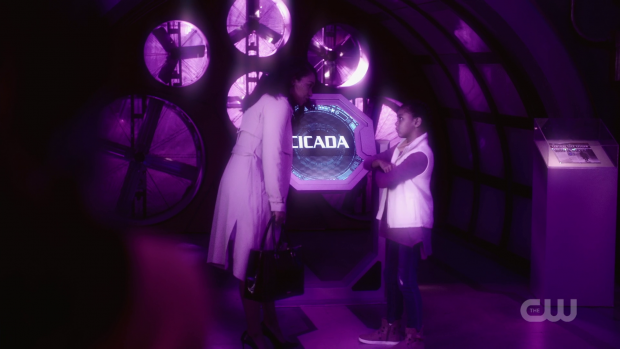 The resolution to this where Iris is understanding and nurturing proves how impactful this experience was as the timeline changes immediately. Changing the future ties into Iris wrestling with whether or not to expand her blog into a legitimate newspaper because apparently that’s how that works. She’s all set to rent the space but hesitates when finding out that the only legal name she can use is the Central City Citizen. It’s bizarre that she had no other options which suggests it’s a clumsy way to create conflict. Once again the emotional background props up the laughable plotting that led to it. Basically she’s reluctant to expand because it’s the Central City Citizen that displays the headline detailing Barry’s disappearance. She’s worried that she might just be playing her part in the timeline by starting a newspaper and wonders if the key to changing events is doing something else instead. She ends up taking the plunge after realising that the timeline is malleable which is reflected in the newspaper being established two years earlier than before. This could also mean that the Crisis is being brought forward as it currently takes place later than 2020; the presumed year that next year’s crossover will be set. This episode also features a compelling subplot involving Ralph and Cisco. Ralph is concerned about Cisco and wants to take him out to get his mind off work for a while. 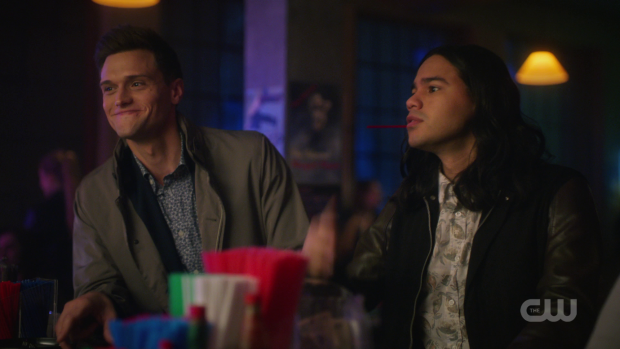 Singles night is perhaps the wrong move as far as finding something to distract Cisco from his muddled mind but this is further proof that the insufferable Ralph is gone and has evolved into a really engaging supporting character. His friendship with Cisco feels genuine and there were some laughs to be had from their plot. Between this and the ice skating scene early in the episode the attempts to show the characters outside of the constant intensity of dealing with various threats is certainly appreciated. It makes them feel more Human and reminds us that they do enjoy spending time with one another. Ralph forcing Cisco to take a break ends up being useful for two reasons. One of which is that he gets a girl’s number so has the prospect of dating someone for at least a while and he ends up stumbling onto a breakthrough that all but secures the creation of the Metahuman cure. He mentions that he feels guilty taking time out as he considers this an urgent project that will open up a whole new window of choice for Metahumans who would no longer need to be stuck with powers they don’t necessarily want. This is specifically mentioned to make Barry’s declaration that he’s going to cure Cicada more shocking as it sets up the ethical debate that I hope the show finally digs into and does justice. It’s a fascinating dilemma and certainly worth exploring. A strong episode that might have some clumsy plotting but largely makes up for it through strong emotional connections to what those plots represent. Nora and Grace make for an engaging pair as it ends up being against what I would have predicted from it. The reveal that Grace hears everything while in the coma and shares her uncle’s resentment of Methahumans is powerful especially when she singles out Nora as the focal point of her hatred. It’s suggested that she could grow up to be the next Cicada following her uncle’s defeat which gives her a personal connection to Nora who would accidentally create the new Cicada in this scenario. 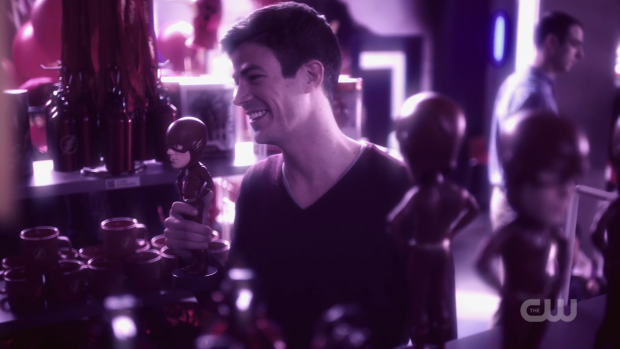 Barry and Iris in Nora’s memories delivers a fun look at The Flash Museum but also lets Iris see the sort of parent she becomes after only hearing about it before. It makes her immediately change her outlook on motherhood and Nora’s memory is replaced by something more positive. It’s a further indication that the timeline can be changed even if the rules are somewhat all over the place. When the emotional connection is this strong it’s almost forgivable. Nora using the Reverse Flash suit as her mental defence is appropriately creepy and gives Sherloque another clue as to Nora’s true purpose in the present day. Testing her reaction to the word “secret” makes for a tension rich moment and furthers this nicely. Unfortunately it largely feels like this run of episodes is killing time before Eobard Thawne can come back into the spotlight. Cicada has very much run his course as it’s clear he has little more to give so it’s high time he were defeated rather than dragging this out further. I found the Cisco and Ralph subplot to be really engaging. It’s good to see the characters spending time together outside of the constant threats that come their way. This also makes for another great example of how much Ralph has changed for the better since last season. It proves to be useful for Cisco as he ends up getting a girl’s number and stumbles onto a breakthrough in researching a Metahuman cure. The mention of the cure only being used on those who choose to take it helps cement the impact of Barry’s declaration that he plans to cure Cicada. Hopefully this will be a debate that the characters have next week as it deserves to be explored in its entirety.